25 fibre cloths per bag. 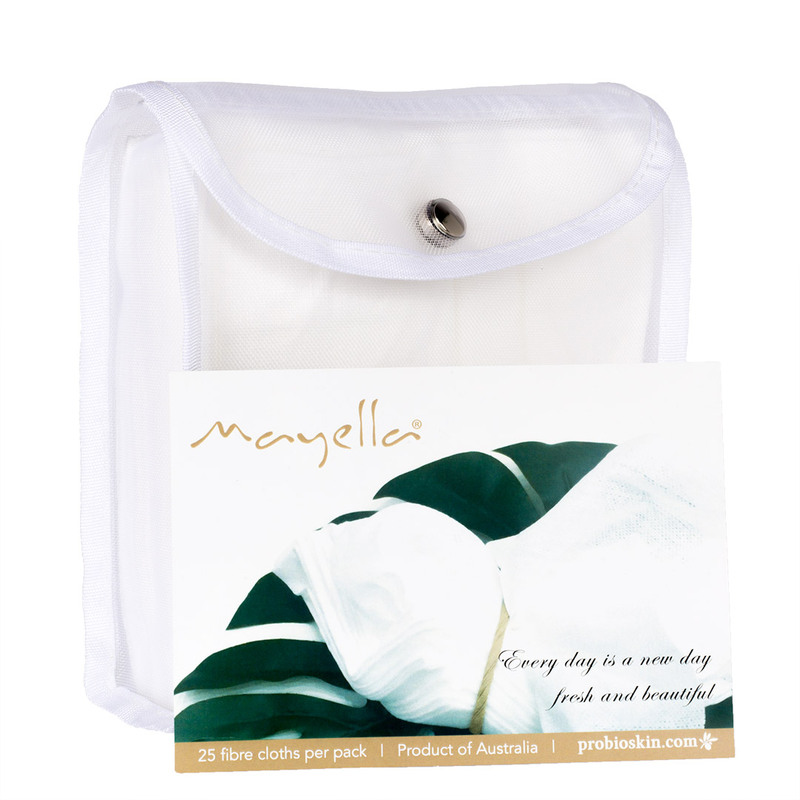 Mayella ® Fibre cloths are strong and soft to your skin for daily use without abrasion for all skin types. Our plant based fibre cloths are compactly carried in a perfect size reusable bag for home, the gym, sport or travel bag. Hygenic and reusable. A soft, non abrasive cloth to move your cleansing and exfoliant products further into your skin, gently lifting out make up, dirt, oil and grime effectively leaving your skin fresh, clean. You will be able to reuse one cloth for around 4–6 times so it will last for 3 days morning and night. Rinse well after each use and hang to dry. However acne skin sufferers will want to use a new one each time to avoid recontamination of infection. If used for cleansing with make up removal only use once for effective cleansing of make up and skin care product removal.